LINE-X® SPRAY-ON TRUCK BED LINERS AND MORE! LINE-X® is the industry leader in truck bed protection offering specially formulated polymers that permanently bond to your truck’s bed protecting it from just about anything you or Mother Nature can dish out. And LINE-X protects more than just trucks. What LINE-X can do for truck beds, it can do for truck covers, rocker panels, fenders, bumpers, etc. As one of the nation’s leading providers of spray-on protective coatings our products are utilized in commercial, industrial, agricultural, military and custom applications. LINE-X® offers the most diverse range of spray-on protective coatings which include truck bed coating, floor coating, industrial flooring, chemical resistant coatings and more. A wide range of LINE-X® industrial coatings are available to meet specific customer requirements and specifications. We are located at 201 Holsum Way in Glen Burnie, MD. 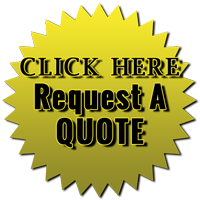 Give us a call at 410-487-6405. We boast a variety of Line-X products for industrial, commercial and military usage. Browse through our list and you will definitely find an elastomeric coating with the perfect properties for your equipment. Our proprietary products sufficiently protect just about anything that could suffer from wear due to weather, work or anything else. If we apply multiple products simultaneously, they bond together, forming a superior layer of protection. Our Line-X brand products employ a multitude of different polyurethane and polyurea compounds. The reaction of these two chemicals creates an impenetrable bond that surpasses the structural integrity of any other spray-on truck liner, elastomeric coating or industrial containment compound on the market. The sealing power that Line-X brand brings to the table only serves to impress. The superior bond leaves zero potential for water leakage, making the potential for rust formation extremely low. With the superior protective capabilities of Line-X products, no one can wonder why they lead the protective coating industry. Call Bayline-X of Glen Bernie to experience the Line-X superior protection for yourself! Just came back from having the rear wheel wells sprayed. I was exceptionally concerned being a new Ford Raptor, not getting any over spray on the shocks, which they assured me that would not happen. All I can says is, You Guys are the best. I got there at 7am and was out of there by 8am and the job looks fantastic to say the least. The only thing I forgot was to get one of your decals to put on my truck. I even got on the Raptor forum to let everyone know this is the way to go. Thanks again from a Very Satisfied Customer.